2017 Brand New Universal Capper for Remington New Army and other guns. Hello, next order for PCA from Texas. Thank you. We have more orders from Europe now than from US. Maybe you are waiting for PCC model or just strong winter is still in US? There are c.a. 20 units left of PCA on stock at this moment. Hello next orders from Texas and first time from Georgia, thank you so much. Please notice that still there are few states where nobody has our capper. You can change this ;). We will see soon which state will be the last one then we will publish this map further but ones a month. There are only 16 units of PCA model left of our stock at current price. As we mentioned earlier new production will be little bit more expensive. Our brand new PCC model will be available in 3 - 4 weeks from now. Our production window will open in 10 days. You can learn about our 2018 PCC series in separate post in this SASS Merchant Corner or go to directly our YT channel and please watch new videos. My Lord what a horrible web site! Looks like a great product but near impossible to simply order one. Please contact me so I can order. Hello, don't worry it is not so difficult. Hello new order for PCA capper from Delaware state. This is first time from that state, thank you. There are states where we are not have Customers yet, going from West to East: Alaska, Montana, South Dakota, Oklahoma, Iowa, Louisiana, Mississippi, North Carolina, West Virginia, Vermont, New Hampshire, Rhode Island and Maine. We will see which state will be the last one ;). So you are fast We just received first order from West Virginia for PCC capper, Thank you. Next order for PCC from Michigan as well, thank you very much. 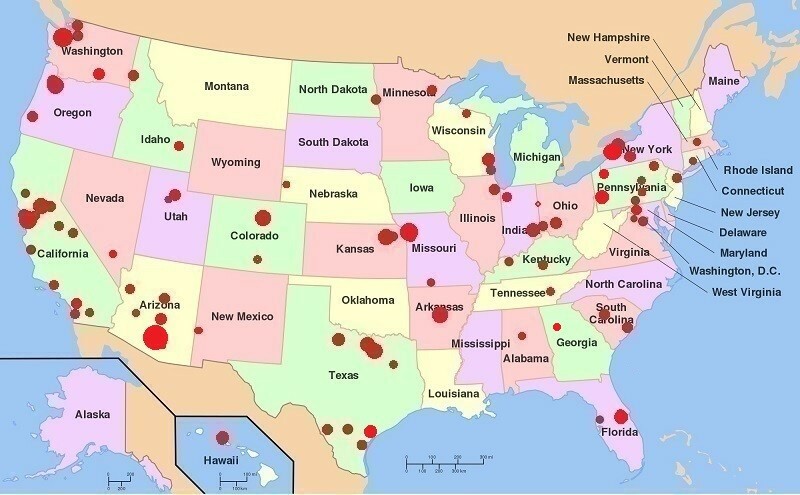 Here is current map of our Customers in US. I see you have your Universal Capper available now. Do I have to go through PayPal to buy it? I have one of your 1858 cappers and it's great. Dear Pat, yes you can use PayPal or Credit Card as you wish. First payment option is CreditCard /we pay less provision/ or second PayPal /we pay twice more provision/. Our universal capper model PCA is specially designed for Remington New Army and after little adjustment you can use it on larger frame Colts. 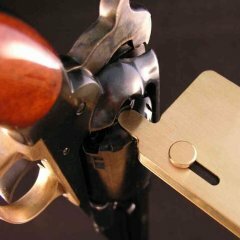 Our new universal capper model PCC is already modified version of PCA and supporting all revolvers. We are proud that our product starting to be popular and our brand starting to be synonim of top notch quality. We always pay attention to details so you should be very happy as you wrote. This is super filling when you have 100% happy Customers.